Arguing senior citizens. A cartoon senior man and woman argue and threaten one another. 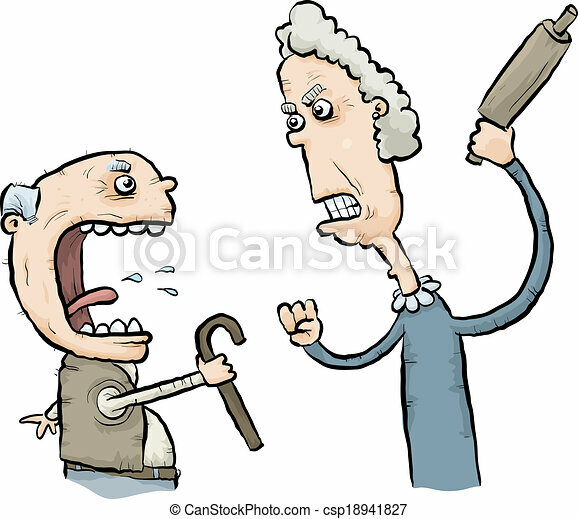 A cartoon senior man and woman argue and threaten one another.